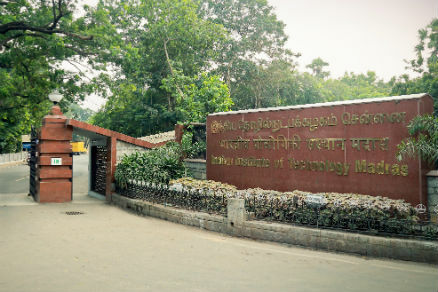 Chennai: Indian Institute of Technology Madras (IIT Madras) has completed a second consecutive year as the Top Ranked Engineering Institution in the country, as per National Institutional Ranking Framework (NIRF), MHRD, Government of India. Additionally, IIT Madras emerged as the second-best Institute in the Country, under the ‘Overall Category’ introduced this year, in the NIRF Rankings. 2017 has been another year filled with achievement for the Institute in diverse sectors ranging from R&D to academic activities, innovations, and startups. Speaking about the Institute’s achievements in 2017, Prof. Bhaskar Ramamurthi, Director, IIT Madras, said, “It has been another satisfying year for IIT Madras, where we have done well in achieving or exceeding our Strategic Plan objectives in all areas of activity ranging from academics to incubation. Various awards won by our faculty and students, as well as the excellent placements, give us the encouragement needed to do even better next year”. The Institute was awarded the prestigious IEEE Spectrum Technology in the Service of Society Award for the development of Solar DC Microgrid Technology by Prof. Ashok Jhunjhunwala and his team. It has been deployed in over 25000 off-grid homes in Rajasthan and Assam besides villages in Karnataka, Tamil Nadu, Odisha, Andhra Pradesh and Telangana, bringing electricity to some of the remotest parts of the country. Three well-known alumni of IIT Madras — Mrs. Jaishree Deshpande, Mr. Gururaj “Desh” Deshpande and Mr. S. Kris Gopalakrishnan — joined hands to launch an entrepreneurship centre at IIT Madras similar to the Deshpande Centres at MIT and elsewhere. The Gopalakrishnan-Deshpande Centre for Innovation and Entrepreneurship will get a funding of US$500,000 per year over the next 5 years to support its activities. IIT Madras also signed an MoU with Robert Bosch Engineering and Business Solutions (RBEI) to set up the Robert Bosch Centre for Data Science and Artificial Intelligence (RBC-DSAI). The mission of the RBC-DSAI is to create societal impact through multidisciplinary interactions with government, academic, research and industrial collaborators on core challenges in Data Science (DS) and Artificial Intelligence (AI). The World’s largest Combustion Research Centre was inaugurated at IIT Madras this year. The National Centre for Combustion Research and Development (NCCRD) hosts state-of-the-art capabilities in combustion research and focuses on three major application sectors: Automotive, Thermal Power, and Aerospace Propulsion, besides fire research and microgravity combustion as well. The Bhupat and Jyoti Mehta School of Biosciences got a New Block with state-of-the-art facilities such as a National Cancer Tissue Bio-bank and an Animal House. The Indo-German Centre for Sustainability (IGCS) shifted to the new Biosciences Block as well. 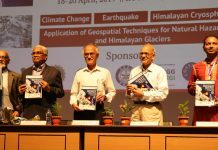 The IGCS was established to promote cooperation between German and Indian scientists on fundamental and applied research, teaching and training besides in dissemination of information in the area of sustainable development. IIT Madras introduced an upgrade path to M.Tech. degree for undergraduates in emerging Interdisciplinary areas of Data Sciences, Materials and Nanotechnology, Biomedical Engineering, Computational Engineering and Energy Systems. The online M.Tech. programmes in Automotive Technology, Communications Systems Engineering, and VLSI, tailor-made programs for the automotive, telecom and electronics industries, were also successfully launched in 2017. Four more such programs for the aerospace, materials engineering and IT industries are approved for launch.. The Institute also launched a two-year Executive MBA (EMBA) Degree Program for working professionals. The USP of the EMBA program is to offer state-of-the-art knowledge that is in sync with the current industry requirements in domains such as digital economy, future manufacturing, and global strategy. IIT Madras faculty were also involved in cutting-edge research at the global level in projects such as the LIGO Scientific Collaboration, and the Mouse Brain Architecture Project. The Institute has among the best collaborative environments between industry and academia with the country’s only Research Park as a key engine driving collaboration, leading to numerous Sponsored Research and Consultancy projects. The Institute is witnessing spectacular placements this year. The Phase I of Placements commenced on 1st December 2017 with more than 190 offers being made on the opening day alone. More than 750 offers were made in Phase I with around 660 students getting placed. Adding to this impressive tally of placed students was the large number of pre-placement offers (PPOs) this year – 114 offers, with 93 students accepting them. This brought the total number of students placed in current batch to more than 750. Phase II is likely to begin mid-January 2018. The construction of the second and final phase of the IIT Madras Research Park, with 0.8 million square feet of built-up area has been completed. The IIT-M Incubation Cell’s pioneering efforts to support India’s startup activities were recognized by the Department of Science and Technology which gave it the National Award for ‘Best Emerging Technology Business Incubator’ in May 2017. Many of the start-ups incubated at IITMIC won prestigious awards this year, including the ET Best Startup on Campus, which went to Detect Technologies, and the ET Best Social Enterprise won by Aibono. Students of IIT Madras have set the Asia and India Records for operating the “Largest Number of Robots Cleaning an Area.” As many as 270 students from the Center For Innovation (CFI) fabricated a total of 45 Robots and cleaned an area of 750 sq.ft.